mazon on Wednesday refreshed its Fire TV Stick with several features that pit it more closely against the Apple TV 4K. The new generation of the streaming device dubbed the Fire TV Stick 4K, now supports all major HDR standards, including HDR10, HDR10+, and Dolby Vision. These new standards support dynamic metadata, which can offer more detail in the bright and dark spots of an image (if you’re watching a movie or video on a compatible TV, that is). The addition of Dolby Vision is particularly notable because most set-top boxes and streaming devices don’t support it — including Amazon’s Fire TV Cube. The Apple TV 4K does support Dolby Vision, but it’s an outlier. It features a new 1.7GHz processor, which is a faster chip than the 1.5GHz silicon in the 2017 Fire TV. The new chip will allow for smoother response time and better loading speeds, Amazon says. The new Fire Stick also includes support for Dolby Atmos sound, which allows users to simulate audio in a 3D space (rather than divvying up that audio in separate channels). Amazon has also updated the Alexa remote that’s bundled with the streaming stick. Notably, the new peripheral finally features its own volume, mute and power buttons. The Fire TV Stick 4K is only the latest new product unveiled by the retail giant in the last couple of months. And it’s the second recent addition to Amazon’s Fire TV lineup. 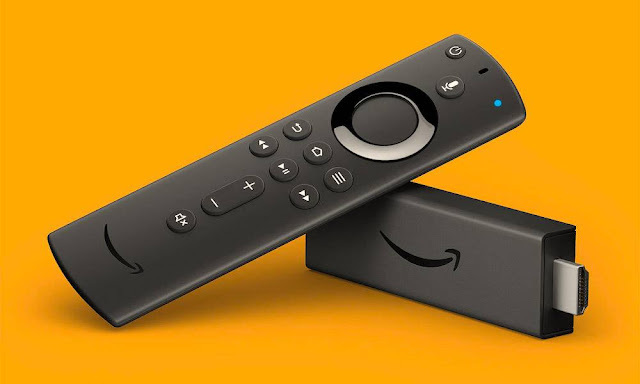 Amazon debuted a slew of new products in September, including the so-called Fire TV Recast — an over-the-air DVR that connects to a standard TV antenna and allows users to stream local, free broadcasts on Fire TV devices. The Recast becomes available on Nov. 14 and is priced at $229.99. The new Fire TV Stick 4K will begin shipping on Oct. 31 in North America, before hitting the UK on Nov. 14. It’ll retail for $49.99 in the U.S.